“He arrived at the coal mines, textile mills and industrial factories dressed in a three-piece suit. He wooed those in charge, asking to be let in. He was just a humble Bible salesman, he claimed, who wanted to spread the good word to the laborers inside. 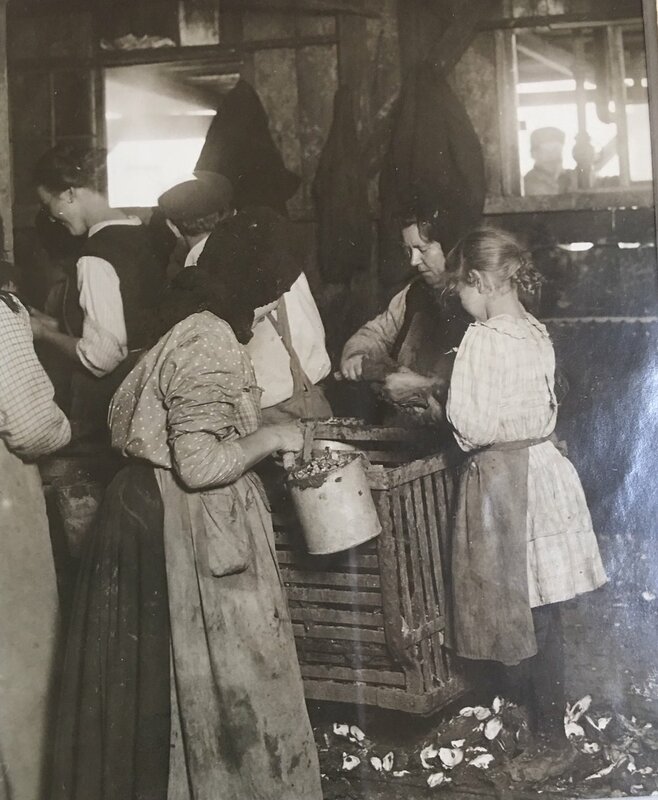 What Lewis Hine actually wanted was to take photos of those laborers — and show the world what it looked like when children were put to work.” Jessica Contrera, “The searing photos that helped end child labor in America,” The Washington Post, September 3, 2018. This recent article by Jessica Contrera in The Washington Post reminds me how art can change the world. Most of you know the story. Hines was a photographer who went to industries in the early 1900’s and exposed with his camera the horrendous working conditions of young children working in mines, in factories, in any business that needed unskilled workers. Our hearts break when we see these young girls and boys just slightly older than toddlers working long shifts in dangerous conditions. Their faces are dull. There are few smiles. They were in essence slave labor. I love seafood, but almost every time I eat oysters now I see this young girl maybe 6 or 7 years old with her yellow hair pulled back standing on a stool to reach the table to shuck oysters with the older women on either side. If you have ever shucked oysters, you know it is a dirty task with mud all over you and possible cuts from a slip of the oyster knife. It is not an easy job for adults, much less children. Oyster shells form the floor of the dark room. The young girl’s apron is almost as big as she is. We do not see her face. That might be too much to bear. We do see the faces of the women beside her, maybe relatives. They look older than their presumed age with a hapless life look on their faces. Hines’ work is a reminder that art, photography, music, writing, stories are as powerful as guns and cannons in getting things changed in our world. When I talk with people about how they want to change the world I remind them of how this one person with one camera and maybe a Bible in hand made a difference. We are not all Hines but we have been created with talents that can make differences in others’ lives without the threat of violence just as he did. We connect to the difference we can make by connecting to the Christ within us. We become the person God created us to be and discern and share that gift.